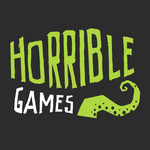 Horrible Games will focus on publishing cool games (who would have thought?) that will try to stand out from the crowd, both for visual style and gameplay mechanisms, while also striving for originality and entertainment. Always and foremost, however, Horrible Games will be about simple, pure, unbridled fun for everyone.